We specialise in all types of slate roofing products, lead flashing and lead flashing substitutes. We also fit timber fascias, barge boards, rafters and battens. We do skylights of all makes and sizes and can help you with your insulation and ventilation requirements. Roof Repairs Sydney Inner West. 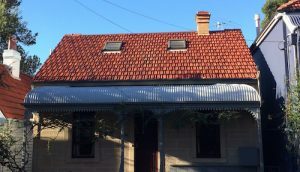 When your old metal roof has had one too many repairs and still needs attention, G Force Roofing Services Sydney Inner West can replace that old rusty roof for a brand new Colorbond or Zincalume roof with new battens, insulation, flashings, fascias and guttering to give you a set and forget, low maintenance solution. Roof Repairs Sydney Inner West. But if your roof still has life in it and it just needs a specific, permanent and relatively economical repair done to make it sound once again then we can provide that for you too. Because we do both repairs and roof replacements, we aren’t biased to quote you on an expensive re-roof when you don’t actually need it. Examples of repairs we do are: Replacing singular roof sheets that are defective; replacing rusted or faulty flashings around chimneys, skylights or roof perimeters; Replacing rusted or faulty ridge capping; fitting back trays to skylights, chimneys and vents and obviously the initial visit to ascertain and quote the necessary repairs are free of charge. When you have a leak or roof problem on your tile roof, you need expert roofers with lots of leak repair experience to pinpoint where the leak is coming from and give concise solutions that don’t blow out into major expenses. This is another GForce Roofing Services speciality. Roof Repairs Sydney Inner West. Our most common repair and maintenance services for tile roofs are: Re-bedding and re-pointing ridge capping using colour coded “Flexipoint” which is a flexible pointing product that resists cracking unlike with conventional mortar that can’t resist expansion and contraction forces of our varied climate; Replacing rusty valleys with Colorbond units; Replacing broken or fretted tiles; Replacing perished roof sarking with new Anticon sarking and replacing or repairing lead flashings around chimneys or roof edges with roof plumbers lead, “Acrylead” or “Wakaflex”. On slate roofs it is important to keep the roof maintained as these roofs are relatively expensive to replace. 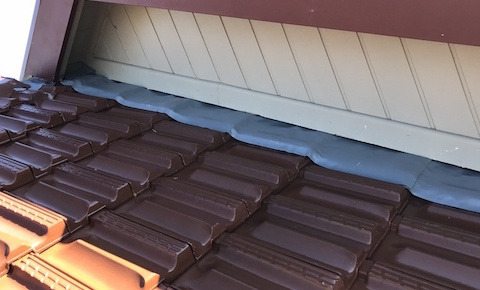 The most common Slate Roof repairs are replacing slipped or broken slate; replacing soaker flashings that fit under the edges of a slate roof; replacing rusted valley gutters and re-bedding and re-pointing ridge capping. G-Force Roofing Services Sydney Inner West specialise in these repairs and more and can help you keep your slate roof in sound condition. GForce Roofing Services also replace Timber Fascias, Barge Boards, Rafters and battens that have rotted or are faulty. We also do roof insulation which we can retrofit when the roof is sound but you require better thermal performance from your roof. 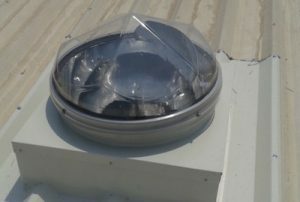 We can replace or fit new skylights in various makes and sizes including Skytubes. We also fit Turbine ventilators to Metal, Tile and Slate roofs.